If you are one of the many travellers who prefer to holiday alone, you will be pleased to know that Singles Holidays are one of the latest travel trends, and as such, the choice is now wider and more varied than ever before. No longer aimed at students in their gap year, or alternative travellers looking to find ‘inner peace’, the singles holidays of today are sophisticated, luxurious, and designed to cater for jet-set travellers who want to travel the world in style. Whether it be a wine tasting tour in Argentina, a South African Safari adventure, or a trip sailing the Fijian Islands, escorted journeys are perfect for singles who like to holiday with a small group like-minded travellers. If you enjoy great food, beautiful architecture, fine hotels, and meeting people from around the world, Europe’s major cities of London, Madrid, Vienna and Rome are a great choice for your singles holiday. Cruising is a perfect holiday choice for singles who like to mingle! With fine dining venues, bars, fitness studio, Spa, swimming pools, and numerous evening entertainment options, these floating cities are perfect for meeting new friends, while still having plenty of time for you. If your idea of a great singles holiday includes excitement and adventure, then why not head down to Africa and climb Kilimanjaro, head up to the Scottish Highlands and trek amongst beautiful scenery, or fly to the other side of the world for a spot of Bungee jumping in New Zealand! Responsible travellers that like to ‘give something back’ may enjoy one of the many volunteer holidays available around the world. 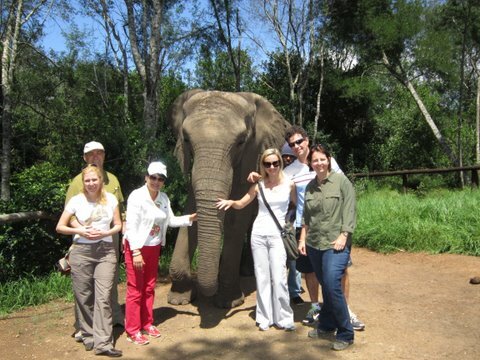 Caring for elephants in Thailand, Rhinos in South Africa, and Turtles in Costa Rica as just some of the options available, and are a great way for singles to meet new people, while getting to know a new culture. Travelling alone is great fun, and with no one to please but yourself, your dream holiday will be exactly that – YOUR dream, and nobody else’s! Love the idea of the volunteer holidays.